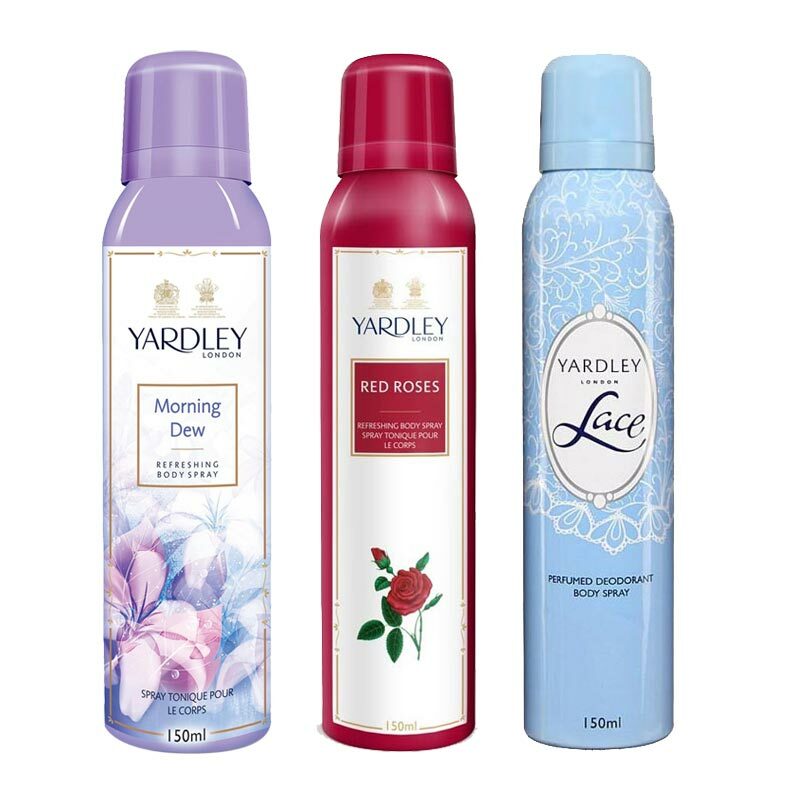 Yardley London Yardley London Morning Dew, Red Roses, Lace Pack of 3 Deodorants Yardley London Deodorants For Women, A light scent with citrus top notes, combined with a heart of fresh, spring flowers. Starts an aromatic journey into the heart of gentle rosebuds and jasmine petals that caress your skin. Amber and sandalwood make their appearance in the base notes which anchor the floating rose down to your skin. Product #: Regular price: Rs.597INR498(Sale ends 01 January ) Available from: DeoBazaar.com Condition: New In stock! Order now! Explore Yardley London | More Combos And Giftsets | Why shop from us? 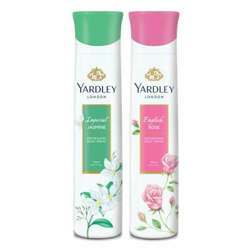 Yardley London Deodorants For Women, A light scent with citrus top notes, combined with a heart of fresh, spring flowers. Starts an aromatic journey into the heart of gentle rosebuds and jasmine petals that caress your skin. Amber and sandalwood make their appearance in the base notes which anchor the floating rose down to your skin.